Saturday Morning Live Launched our 365 Days of African Liberation Film Series. Our aim is to screen films to spark discussion, and push this dialogue beyond the month of February, which has us dizzy outside the month of February. We would love to connect with our local Regent Park Community, and reconnect with our Saturday Morning Live Toronto listeners. Mondays in April we had Screenings which took place in Regent Park Focus Youth Media Centre, in their Community Room in the basement right beside Radio Regent. 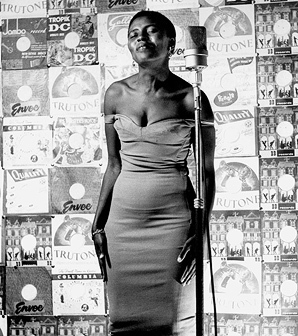 Around the life of Miriam Makeba (4 March 1932 – 9 November 2008), nicknamed Mama Africa, was a Grammy Award-winning South African singer and civil rights activist. Donations and support to SaturdayMorning Live are always welcome..
We are looking continue this series, if you want more information in how to get involved please email us at saturdaymorninglivemedia@gmail.com.